This course is geared for people in ministry, students, or anyone interested in the relationship between music and theology, and how jazz provides us with insights into missiological and theological ideas for the future church and ministry. About the Presenter: Reverend Ben Aldous holds degrees in Music, Theology, Composition and Missiology, and is interested in the relationship between the Spirit, Jazz and Mission. 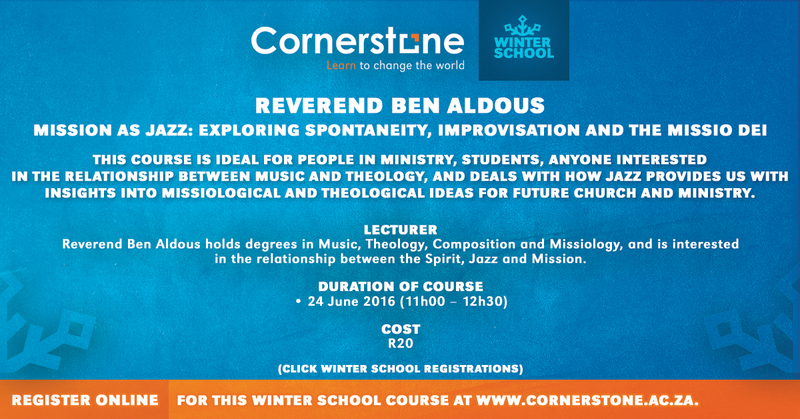 He presents a course entitled “Mission as Jazz: Exploring Spontaneity, Improvisation and the Missio Dei” at the Winter School. This course is ideal for people in ministry, students, anyone interested in the relationship between music and theology, and deals with how jazz provides us with insights into missiological and theological ideas for future church and ministry.